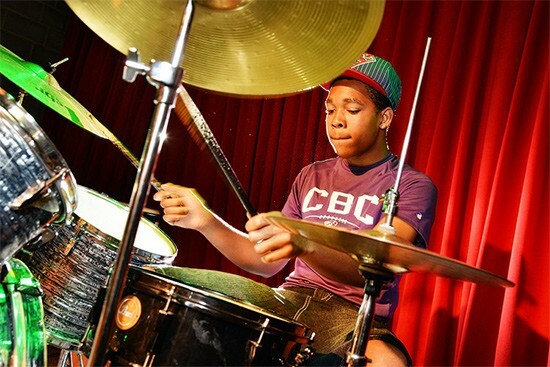 For ten years, Dave Simon's Rock School has given aspiring young musicians the opportunity to jump right in, learning rock instruments in group settings before taking directly to the stage. Since opening, Rock School has taught more than 1000 students, with about 300 enrolled today. This Sunday, August 11, it will celebrate its ten-year anniversary with a concert at Blueberry Hill. To commemorate the occasion, RFT Music caught up with Simon and a couple of graduates to recount on the benefits of learning how to rock from the experts. Dave Simon's Rock School, which currently houses seven instructors, offers private lessons, a performing rock band program and a state-of-the-art recording studio to fledgling musicians of all ages. Positions in the band include guitar, piano, drums, bass guitar and voice. The cost to attend ranges anywhere from $100 to $180 a month depending on the track chosen. When asked how Rock School has grown, Simon says, "Our philosophy has evolved over the years...Through new programs, we're able to offer first steps into the rock band experience. Instead of starting out with private lessons, students learn in group settings so they are experiencing the most joyful part of music up front and get sold on the idea that music is for them. After that, they can go into the laborious work of practicing and private lessons, when they're committed to growing." And grow, they do. As fun as this all sounds, the experience can turn out inspired music professionals. Take Rock School alumni Elliot Liebman and Sydney Fontaine, for example. Fontaine currently works the front desk at Rock School but attended as a student from ages 14 to 17. "I played in bands in my second semester there and that taught me tons about cooperation, teamwork and leadership. I was always outgoing but was still afraid to perform in front of everyone. The first concert brought me out of my shell," she says. "The teachers are spectacular, and the whole environment is cozy and homey. It's the best after school activity you could probably imagine." Now 18-years-old and with plenty of experience under her belt, Fontaine hopes to continue her education by attending Columbia College this fall to study arts management with an emphasis on live and performing arts. 21-year-old Elliot Liebman, a native of Chesterfield, attended rock school for a few years as a teenager as well. He played piano from an early age but went to Rock School to try his hand at drums, singing and guitars. This past May, he graduated with a bachelors of arts in music performance from the University of North Texas and happily credits Rock School for driving him as a musician. When asked what experiences were most valuable, he says, "There are things you don't learn when you practice that you can only learn while playing in an ensemble or on a stage. To me, you just grow in ways you never could unless you were put in that situation, such as listening and the confidence to perform in front of others." Liebman, who currently plays in a folk-influenced group called Many Voices, says that playing music he was listening to was a big step, as well as working with role models from an early age. "It's great to see a student kind of grow beyond your own abilities," says Simon. "What I find most rewarding is passing on this old tradition that exists in music from mentor to student. There are so many things about music that you can't just put down in a book. There's a real sense of lineage and history to that." Simon says that this weekend's event will be, "a nice combination of past, present and future. 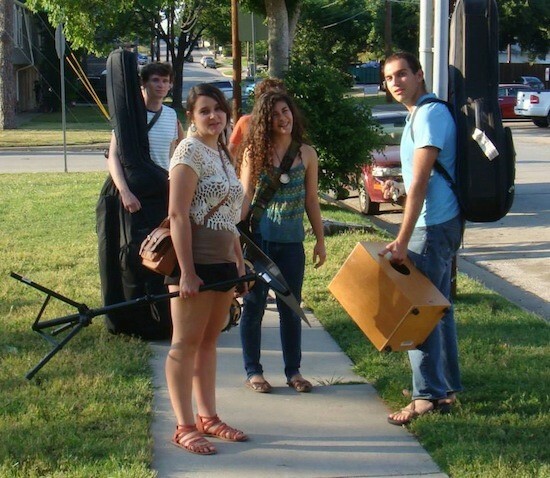 You'll see some of our younger up-and-coming musicians and of course our more seasoned high schoolers." 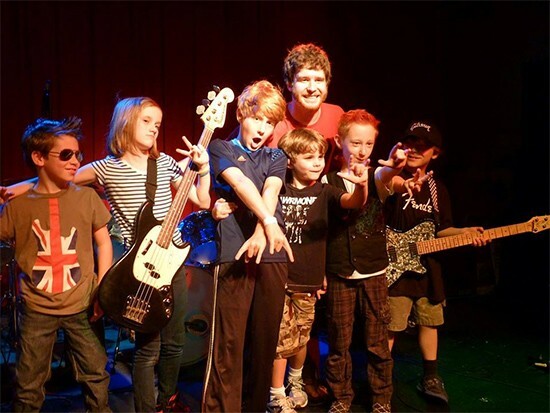 Rock School alumni, the Junior Mints, will reunite to perform at the show. Members of the Urge will also make a special appearance with students, as will Rock School instructors. for more information on this event and the school's programs, visit the official website of Dave Simon's Rock School.